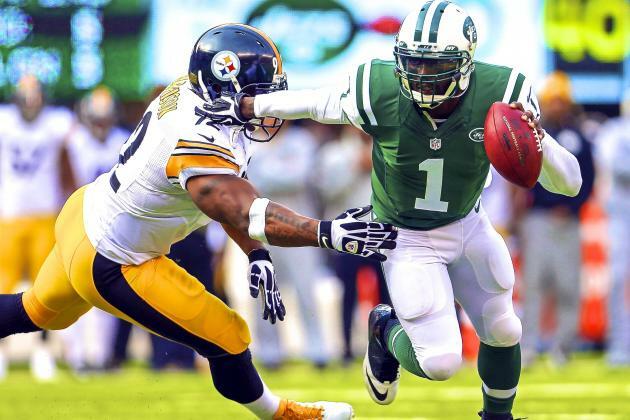 Kick Rocks Fairweather Fans..Vick Is A Pittsburgh Steeler | "IT'S A STEELERS WORLD"! Well, all you so-called Steelers fans vowing to boycott games and switch teams better get to making good on those threats. Because Michael Vick has signed with Pittsburgh as the backup quarterback to Ben Roethlisberger. And I for one, along with the entire Steelers organization could not be happier. You want to know why I am happy? Because this situation shined the light on so many fairweather fans, and they have all (to an extent) have been exposed. But, still I find myself disappointed and sickened by their non-support of the Steelers at the same time. How ridiculous is that? Someone claiming to have been a fan for over 50 years willing to throw in the Terrible Towel and vacate to another team is disturbing on so many levels. One level being this person is no Pittsburgh Steelers fan in my book. Look, I was against Michael Vick visiting the Steelers after his release from prison because the situation was still fresh in the public’s mind. And honestly speaking it would have brought negative feedback to the organization, and the Steelers were aware of that. But years have passed, and Vick has been nothing but a rehabilitated member of society, with debt paid and his nose clean and he deserves the right to live his life without being ridiculed about his past. Still, we have these “self appointed angels” who rather cast stones at others than exposing their own skeletons to anyone else. Now, who would honestly disagree with that? Who would seriously rather have Landry Jones stepping in barring a Roethlisberger injury (God forbid) over Michael Vick? #HereWeGo #Steelers and welcome aboard Mike Vick. Now, to get you a ring and another number..because #7 is taken.